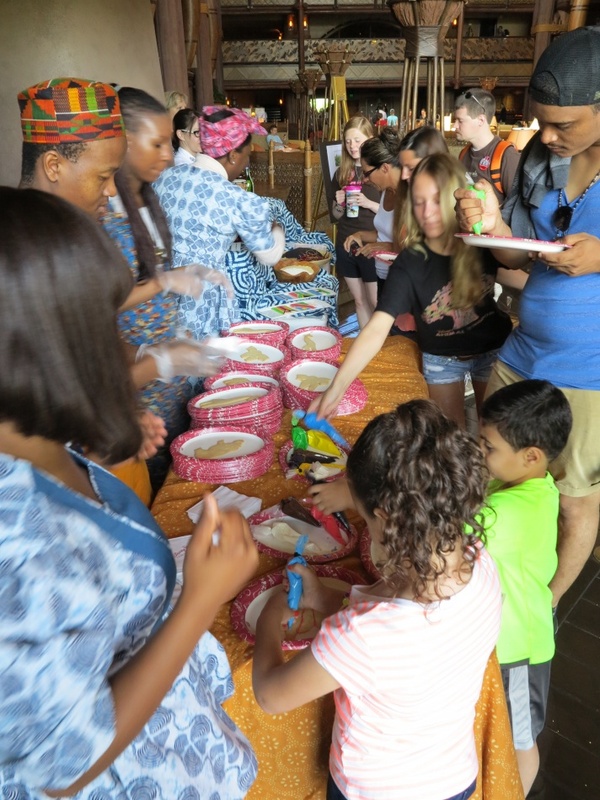 I walked into Jambo House at Disney’s Animal Kingdom Lodge, intending to take pictures of the beautiful resort to share here on the blog and on our Facebook page. 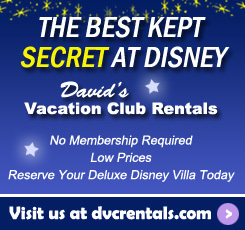 As often happens at Walt Disney World, I got sidetracked. As it turned out, it was Celebrate Africa Day at the Lodge and I arrived just as the festivities were beginning. 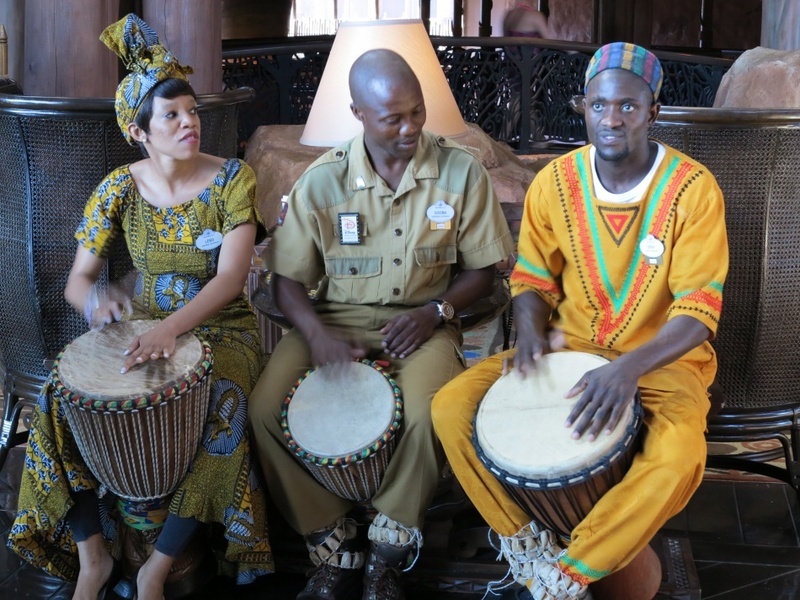 Four times per year, as each group of Cultural Representatives (Cast Members) from the countries of Africa are finishing up their internships, the group shares a bit of their culture with Guests through dance, drumming and spoken word. The Celebration began with a circle of Representatives rhythmically dancing, singing and clapping as a way to call attention to the activities that were about to begin. 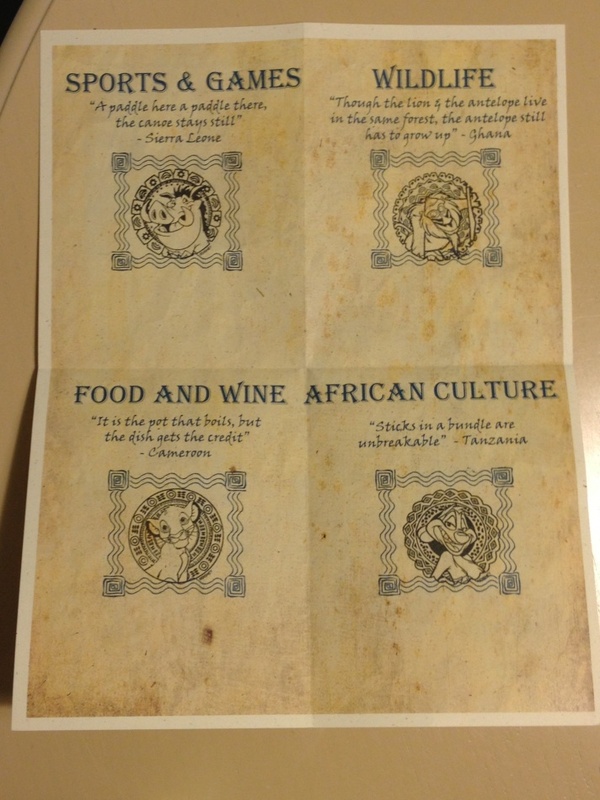 A woman introduced the group and explained how we were about to embark on a journey to the continent of Africa. Next, there was a greeting in their native language and in English from several Cultural Representatives, each representing their own particular countries. After the greeting, the drumming began again and several dancers performed. Towards the end they were joined by the rest of the group who then invited Guests to join them in a celebratory dance. It was very fun! Everyone was having a great time. After the dancing, one young gentleman shared a powerful and uplifting poem about Africa, which brought our journey to an end. The performance part of the Celebration lasted about 15 minutes in all. It very uplifting and I was grateful that I got the chance to see and participate in it. 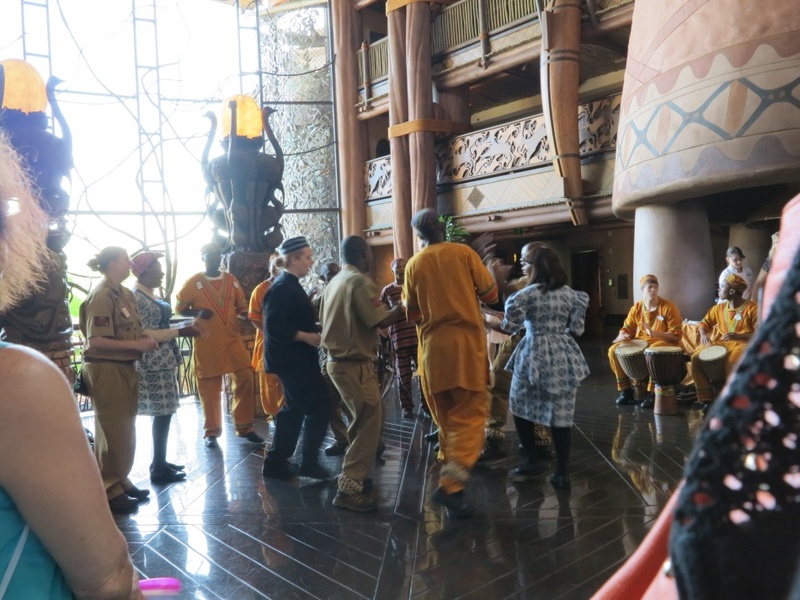 After the performance, the Cultural Representatives immediately began interacting with Guests, distributing passports and leading Guests to cultural displays set up in the lobby. 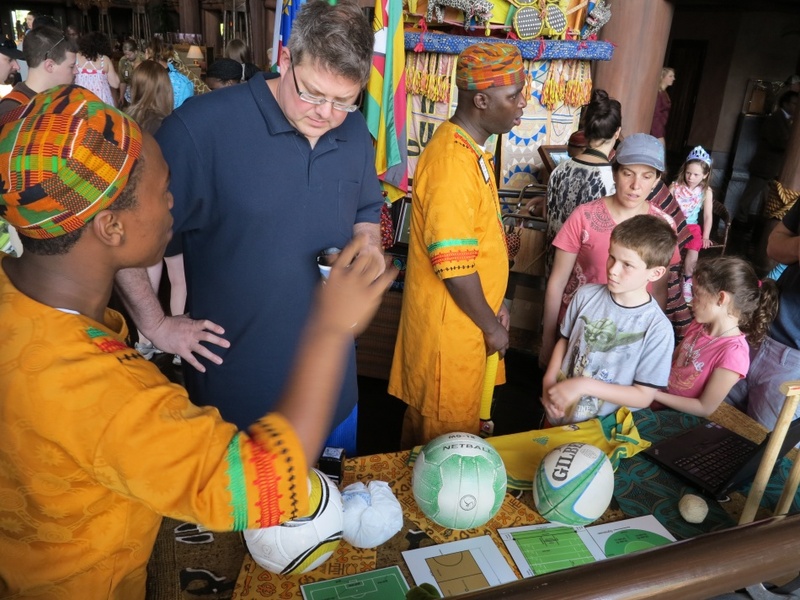 There were four different stations where Guests could participate in activities and learn about African food, culture, sports and animals. 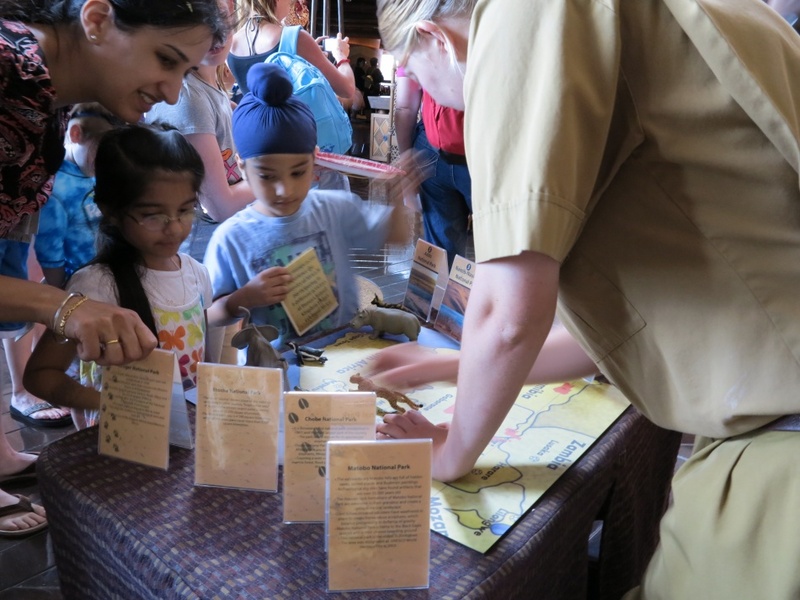 Before leaving the station, Guests could have their passport stamped. At the food station a chef from Jiko was there to talk about the wine and food of Africa. 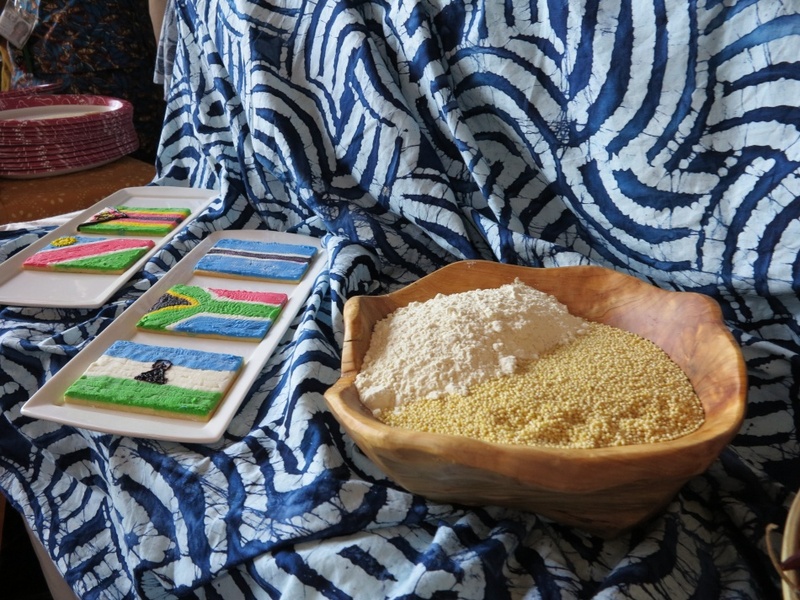 I learned that millet is a very important grain in Africa, used to make bread. At this station they had animal cookies to decorate. As you can imagine, this was a very busy table! The sports table is where I learned about netball and cricket. 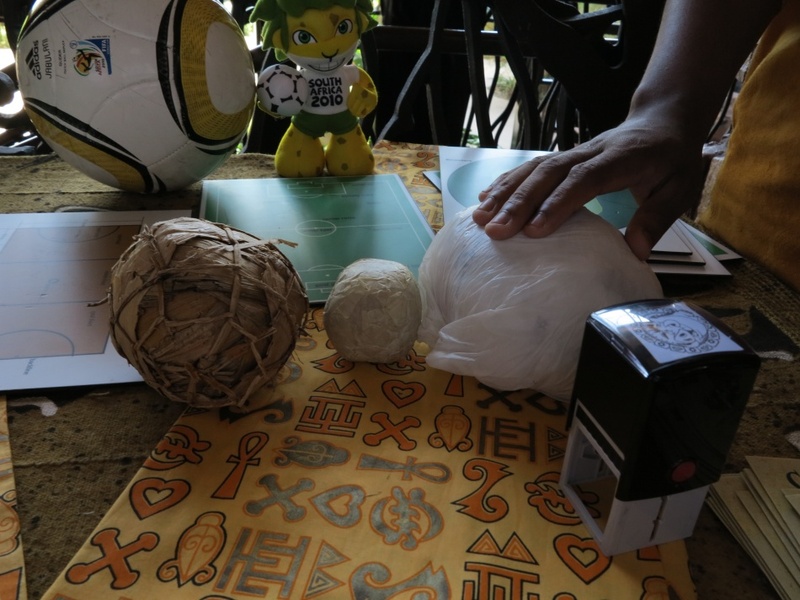 One of the Representatives at that table showed me the kind of handmade balls that he played with as a child. One was made of banana leaves, one of masking tape wrapped around something soft and the third was just a ball of plastic bags! At the cultural table we learned about some of the things different tribes make. The Representives explained how they were made and what the significance of the materials used. 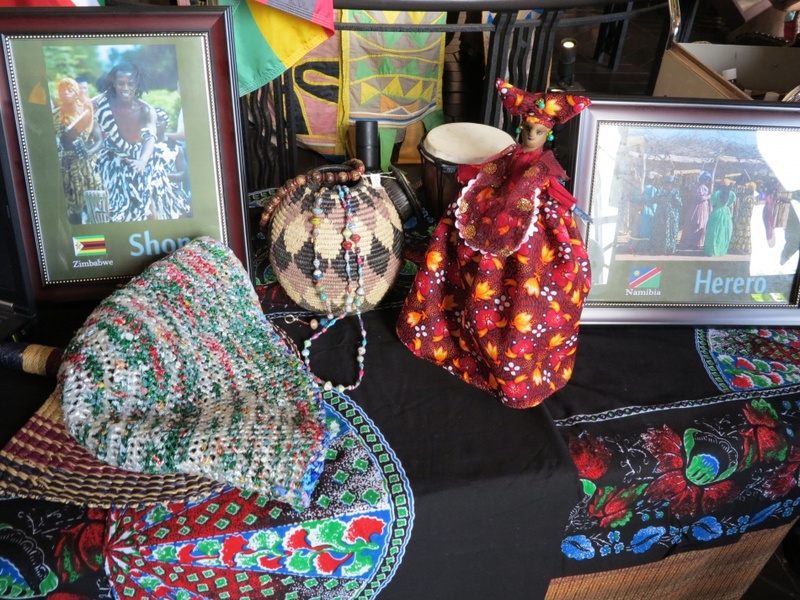 There were examples of beaded jewelry, shields, and bags made from recycled plastic bags. I also had a great conversation about drumming here. There are specific beats to communicate many things. For instance, a particular beat is used for a wedding. From tribe to tribe that beat will be different. 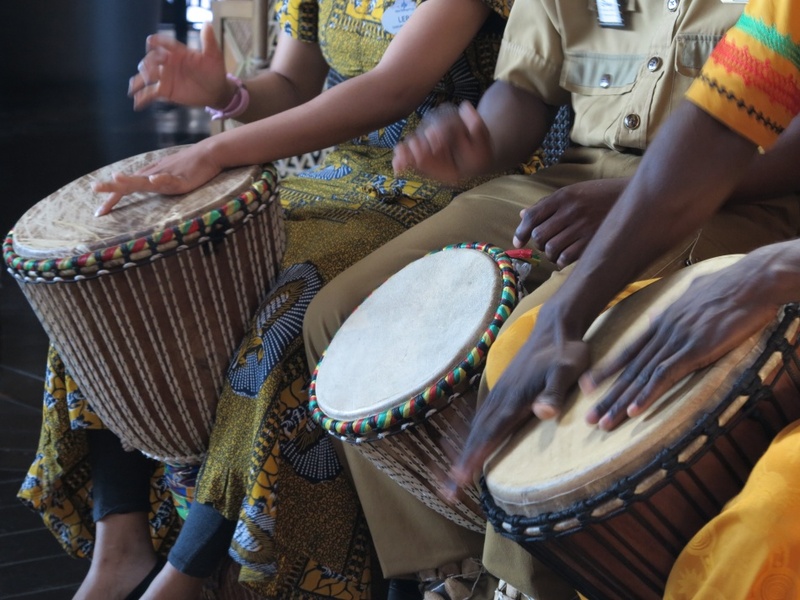 Each tribe has its own language and drum language. The theme of the last table was animals. 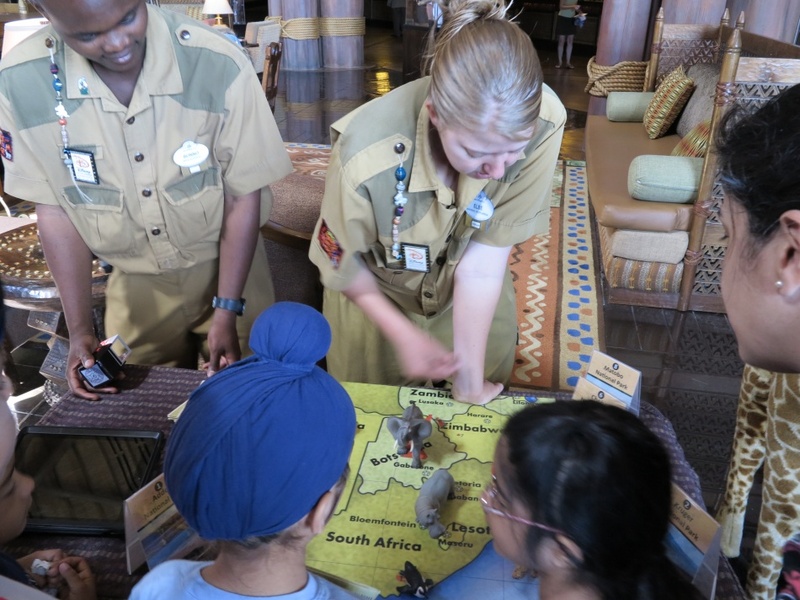 Here the Representatives played a game with Guests, arranging animals on a map in the country where they are found and telling about how the animals live. 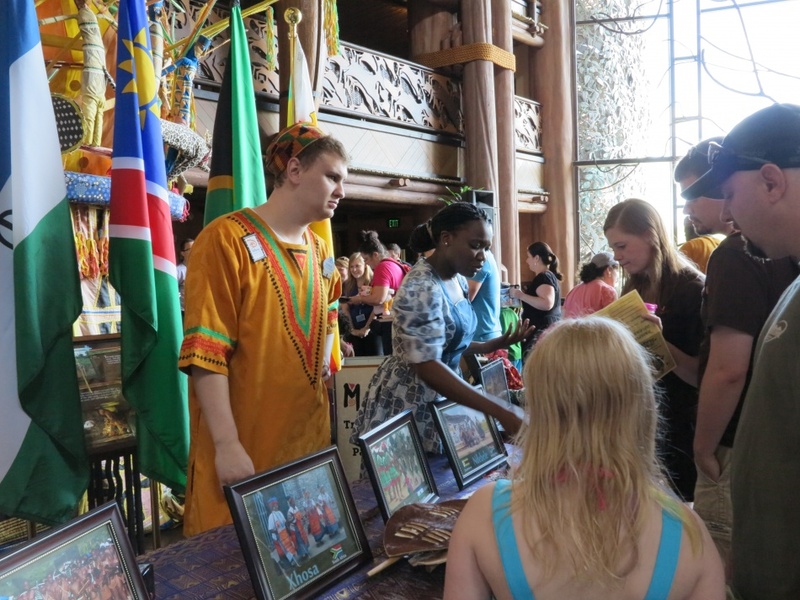 The Cultural Representatives took time to answer questions and talk with Guests. The activities were interesting, simple to do and moved along quickly. 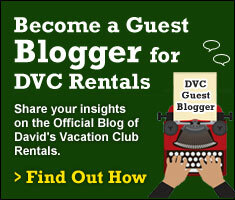 After a few minutes of interaction and learning the Cultural Representative would stamp the Guest’s passport. Throughout the time Guests were going to the different stations several Cultural Representatives mingled and talked with Guests while others kept the drumming going. 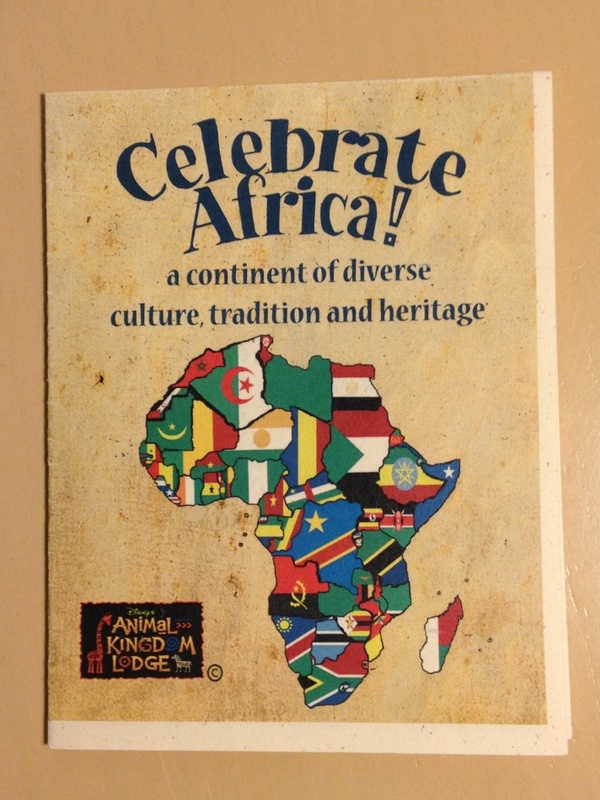 Celebrate Africa was such a nice surprise, one of the highlights of my trip in fact. If you have the opportunity to experience this quarterly cultural event, definitely take advantage of it. All in all, it was about a half hour of time – just enough to feel worthwhile but not so much that you worried about getting on with your plans. It was fun and educational and I left feeling happy.